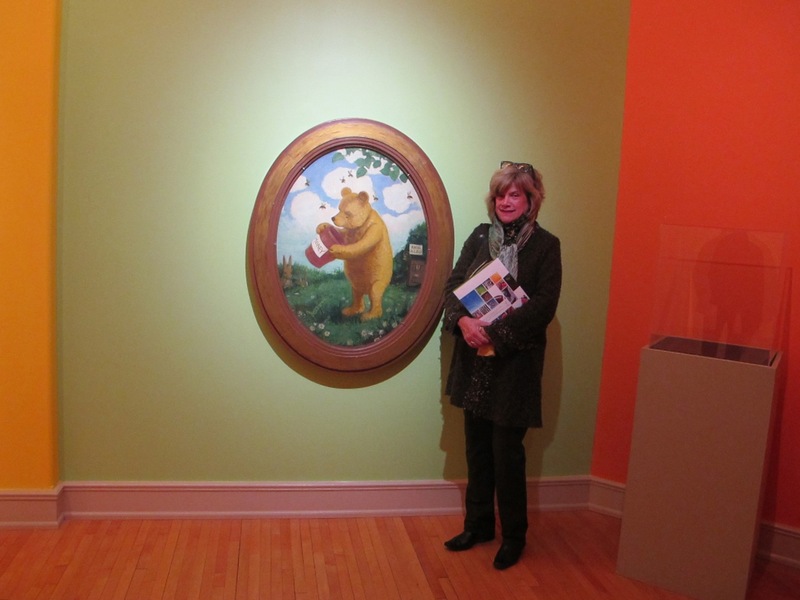 That's me with Winnie the Pooh in his new room at the Pavilion Gallery Museum. I spent a few days in Winnipeg last November after being with the polar bears in Churchill, Manitoba on a Frontiers North Adventures trip. 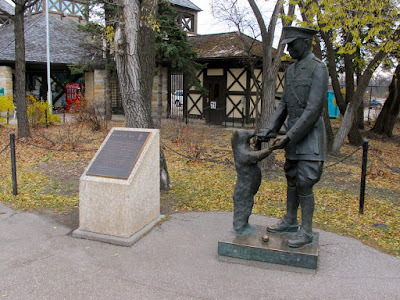 That's when I discovered that Winnie the Pooh was from Winnipeg! You can read more about this delightful bear at Just-Pooh.com. 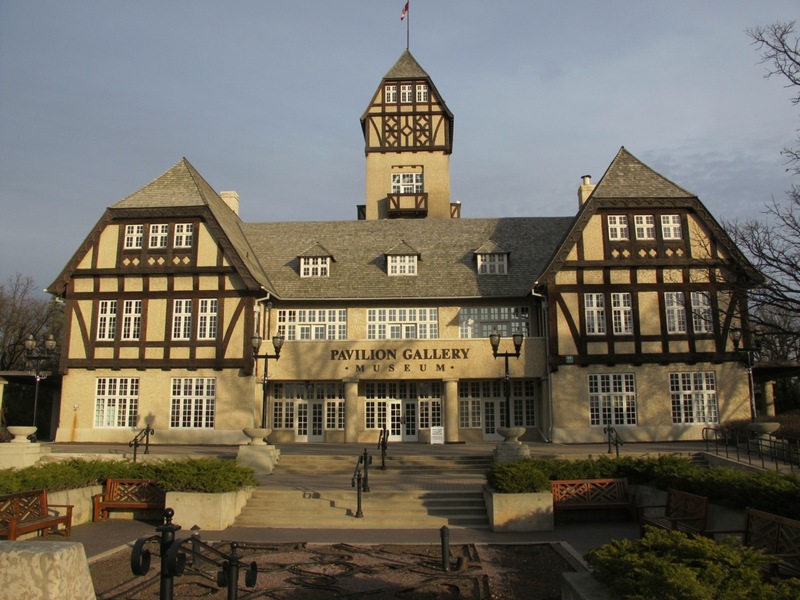 Winnie is celebrated at the Pavilion Gallery Museum in Winnipeg's Assiniboine Park. On the second floor of the museum is The Pooh Gallery, which houses a new permanent collection of Winnie the Pooh artifacts and memorabilia donated by the MacFarlane family. The Pavilion Gallery Museum is also an art gallery, housing a large collection of works by Manitoba artists. Photo by Sue Frause. The Pooh Gallery collection includes pop-up books, toys, figurines and Ernest H. Shepard's famous painting, Winnie the Pooh and the Honey Pot. Shepard was the original illustrator of A.A. Milne's Winnie the Pooh books. The new gallery, with brightly painted walls of orange, yellow, green and blue, also features Winnie's Reading Room -- a place where "kids" of all ages may enjoy a story or two. "Winnie-The-Bear" by sculptor William Epp was dedicated to the children of the world in 1992 at Assiniboine Park. Photo by Sue Frause. There's also a recent movie about the beloved character, A Bear Named Winnie (2004), starring Michael Fassbender. It's based on the true story of a Canadian soldier who, enroute to World War I from Winnipeg, adopts an orphaned bear cub in Ontario. He's given the name Winnie (for Winnipeg) and eventually lives at the London Zoo. That's where A.A. Milne met the little bear who became the inspiration for his Winnie the Pooh stories.